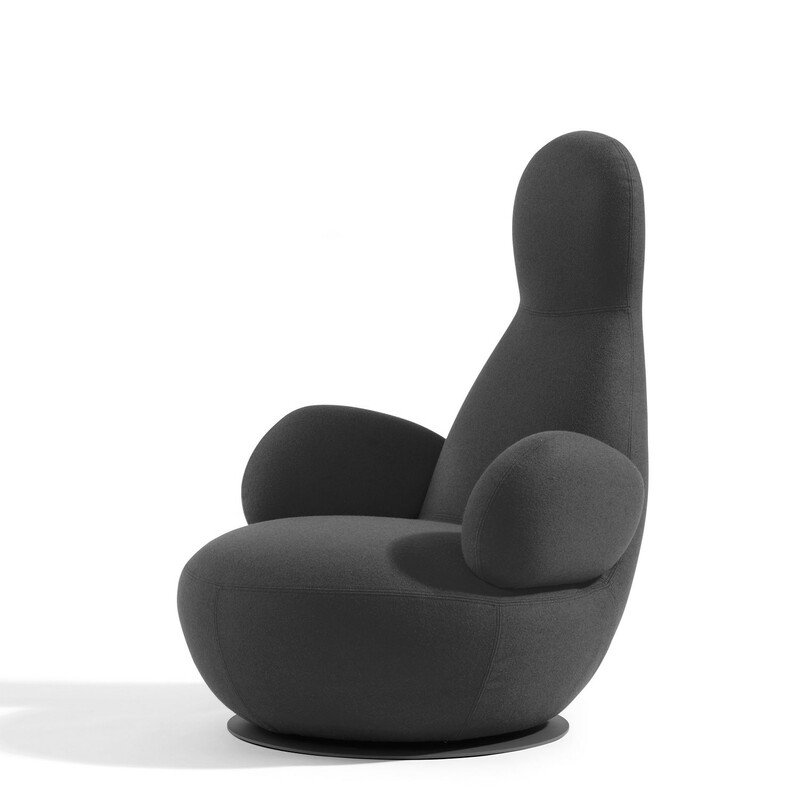 Oppo is a swivel easy-chair with auto return that inhabits a room even when no one is there. 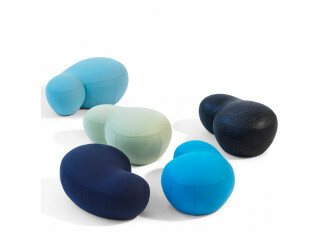 The soft shape invites you to communicate without words. 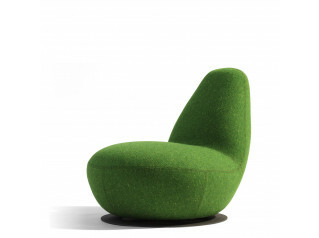 Oppo Swivel Chair O50A comes in a smaller version; see also Oppo Swivel Armchair O52A. 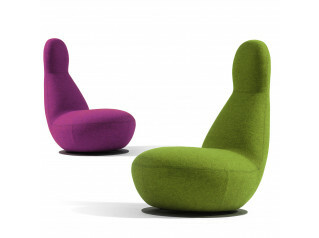 Oppo Soft Seating thrives almost everywhere; airports, waiting areas, hotels, lounges, libraries, office breakout areas and more. 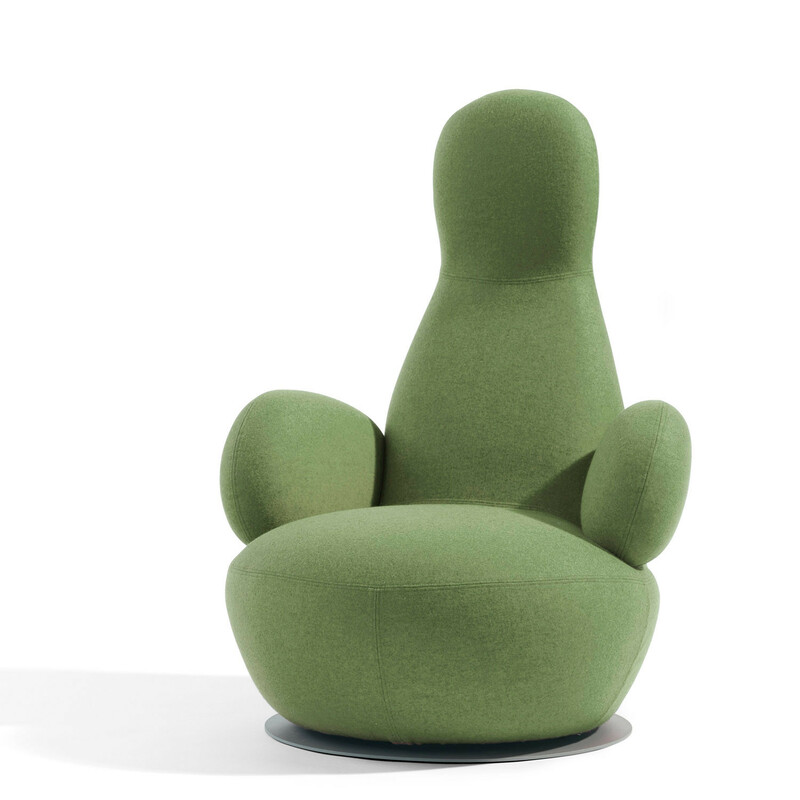 After years of experimenting with the thin seat shells in laminated Formfelt, in 2009 Stefan Borselius gave shape to a new piece of furniture that seems totally skinless: an “alien” called Oppo. Oppo means "friend" or “buddy”. Inner frame in steel and wood. 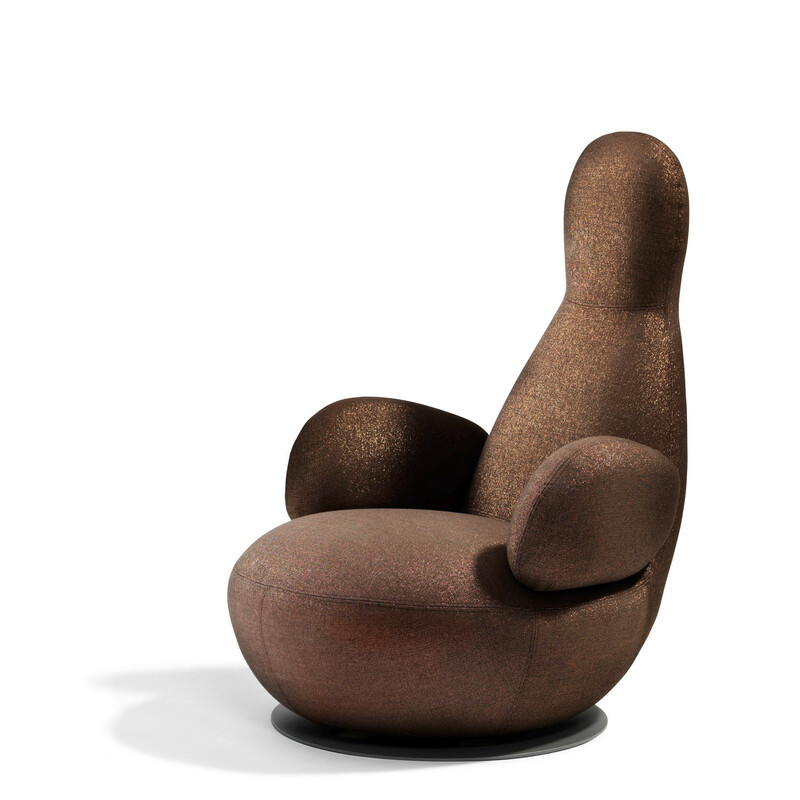 Moulded polyurethane foam upholstered in fabric or leather. Footplate in lacquered steel. Grey lacquered footplate. 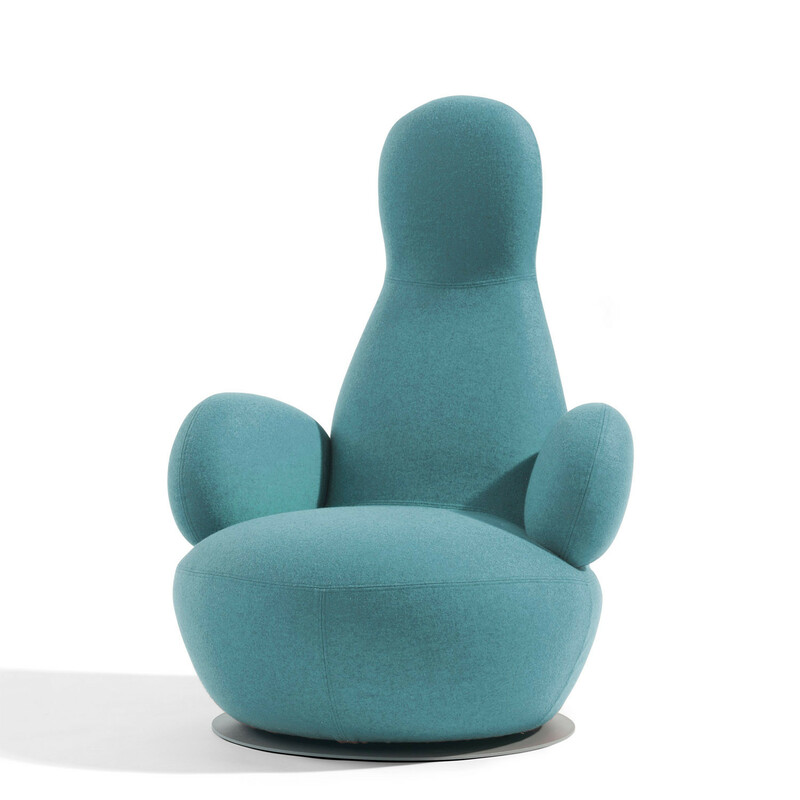 Swivel base with auto-return. Standard Fabrics (please ask for details). 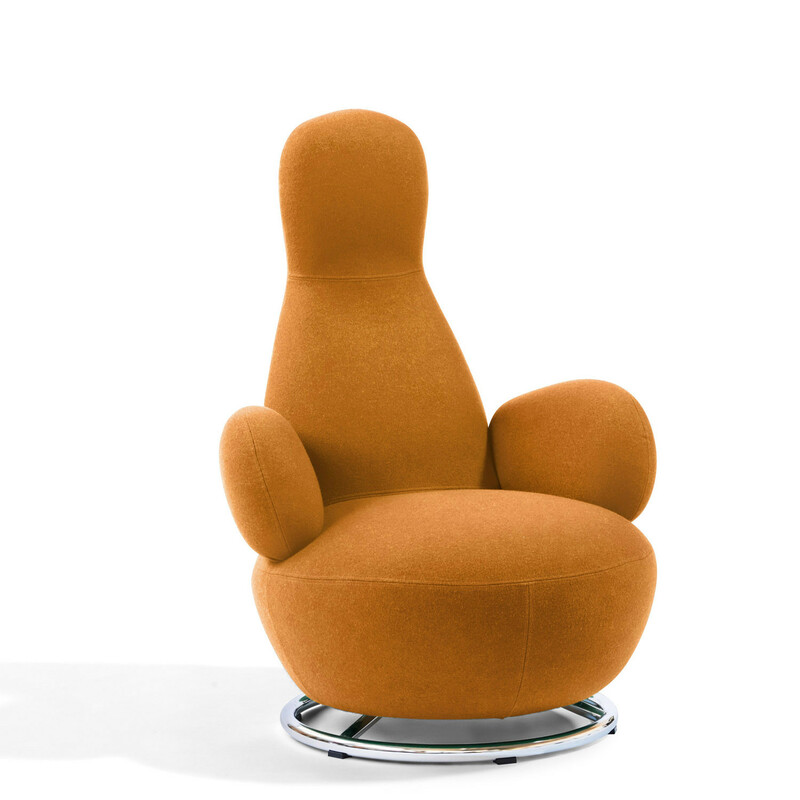 You are requesting a price for the "Oppo Swivel Armchair O50A"
To create a new project and add "Oppo Swivel Armchair O50A" to it please click the button below. 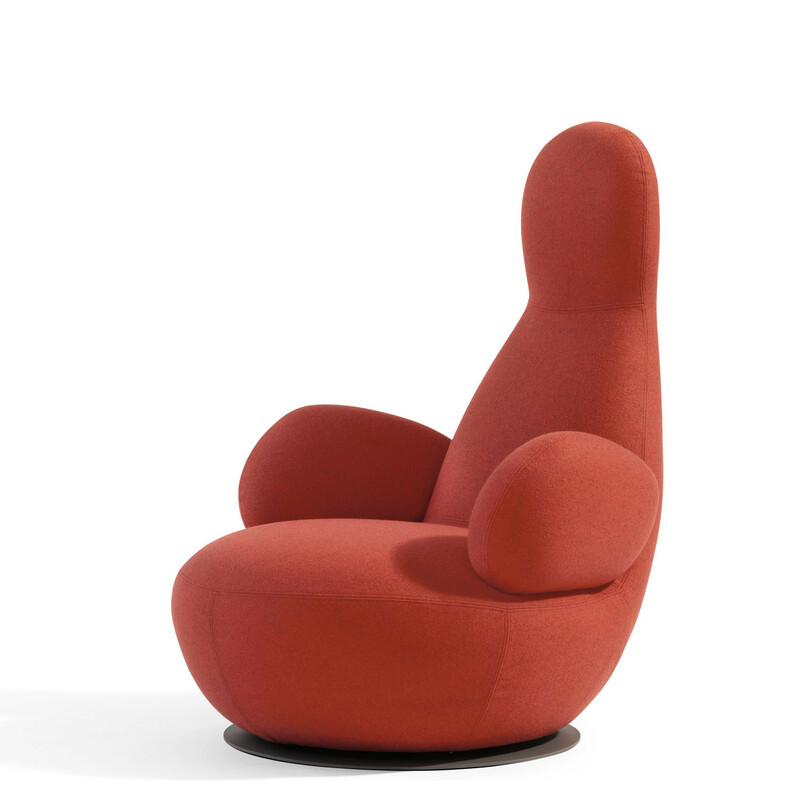 To add "Oppo Swivel Armchair O50A" to an existing project please select below.